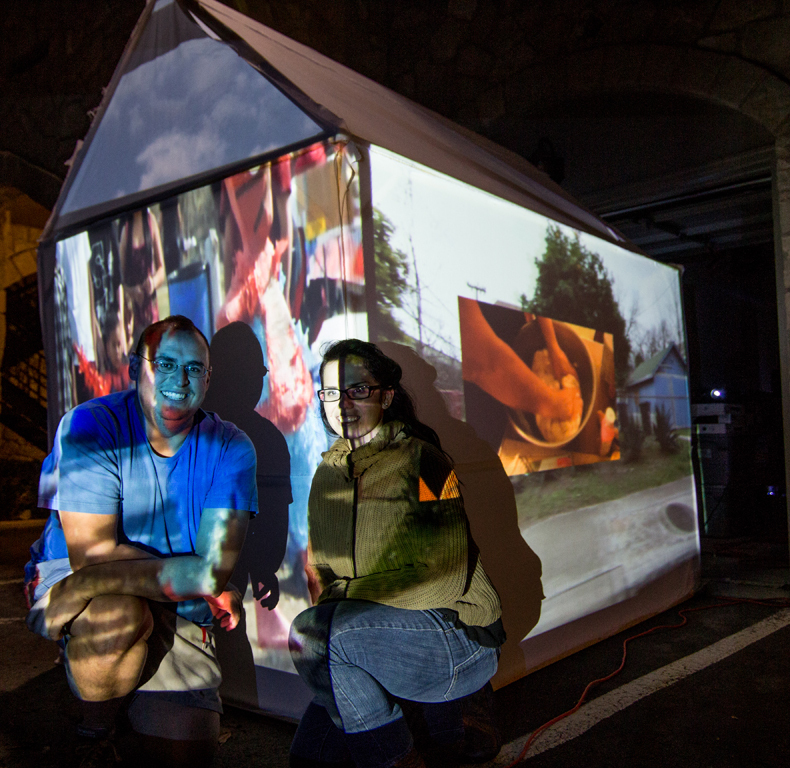 Mi Casa de Luz is an inter-modal art collaboration between two artists, Ruth Buentello and joey lopez. Our similar cultural perspectives and our desire to experiment and share our artistic power drove us to work together. We focused the project on bringing attention to the distinctive characteristics of San Antonio neighborhoods by using footage captured from Ruth’s home. These scenes illustrate everyday ritual occurrences and objects within her home and neighborhood. Her fear of her home and traditions disappearing due to recent development in her Lone Star neighborhood sparked the documentation and creativity of the project. This year Luminaria will be hosted at Hemisphere Park. Coincidentally in 1968, the city of San Antonio condemned and developed over the Alamo neighborhood to build Hemisphere Park and displaced hundreds of families and businesses. The neighborhood was sacrificed in effort to put San Antonio on the cultural heritage map for the World’s Fair. To honor the history of that neighborhood, we will preserve Ruth’s vibrant neighborhood that is in danger of not existing at Luminaria 2013. In addition, we feel that Luminaria has had low representation of the true voice of San Antonio’s residents and we hope to represent.